Can You Co-Work Well With Others? 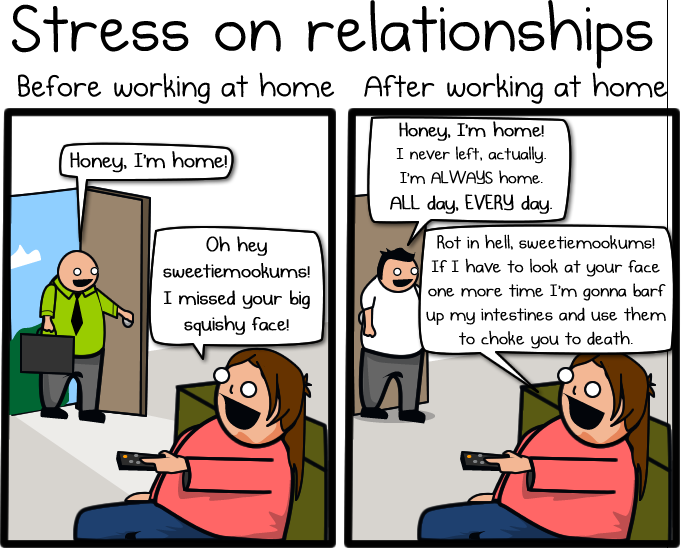 Let’s admit it, it’s very challenging to get work done at home. There’s always a chore that needs completing, a dog begging for an extra walk, Facebook, and something great to watch on your DVR. And, even though you can probably write these expenses off come tax time, it’s costly to rent a space and office furniture, then provide electricity, heat/air conditioning, Internet, phone lines and the like. If you have a small team, you can get on each others’ nerves, and, if you’re a freelancer, while it’s great to be your own boss, it can be boring and lonely. Why not try co-working? Co-working involves a shared workspace with independent projects. No longer the thing of hippie communes, it’s mainly filled with freelancers and SMBs looking to break down the barriers of cubicles and commutes to encourage creativity and to cut costs. According to DeskMag.com, the first so-called co-working space only opened seven years ago. A silver lining in the economic crisis, there are now about 2,000 co-working spaces worldwide, mostly in North America and Europe, but rapidly growing in Latin America, Asia, and even Africa. New York, London and Berlin are co-working hotbeds. Hopping on the trend-wagon, some cities even offer government-sponsored free or super-cheap spaces, to promote innovation, cooperation and small, local business in economically-challenging times. Your local library, looking for new ways to compete in the world of eBooks, may even be transforming into a start-up incubator. Since there are so many of these working spaces of various sizes scattered around your city, chances are you can choose to work in the neighborhood you like, maybe even walking distance from home. While co-working spaces can be set up in almost any building, they tend to share certain qualities. They are mostly minimalist, ergonomically-open workplaces. They usually lack cubicles, but sometimes have makeshift barriers decorated with cork boards or blackboard paint, encouraging displays of on-going projects or shelves covered in technology and Legos. There’s almost always a canteen filled with coffee and beer, a ping pong or air hockey table for healthy work pauses, and an omnipresent Nerf basketball hoop. If you work from home, you’re always stumbling around looking for a Starbucks or diner to host clients at. Each co-working space features at least a few offices or sectioned-off tables to offer a quiet and professional place to host clients at a lower cost. Rafael Gerardo Weisz runs start-up Easy Code software, training and design company. He and his three workmates have been coworking in the center of Madrid at Utopic_Us for about ten months now. Rafa gave QuoteRoller seven reasons why he loves coworking and will never go back to the daily grind at the usual office space. 1. I get to meet new people and contacts, while I’m working. 2. Stay up-to-date about new technologies and needs because I’m always sharing with potential customers and competitors. 3. To find really fast, quality collaborations, partners or resources. 4. Projection — visibility for a small company. 6. Learn about new areas that can be combined with my knowledge and expertise. 7. It feels like working at a big company even though we are a small one. Rafa says that, before co-working, “We were in a normal business center which is really cold and impersonal.” He’s a huge fan of co-working, attending and even co-hosting some events at Utopic_Us, after hours (even though a co-working office is often open 24/7.) Rafa even often offers his co-working as an added-value during client meetings. 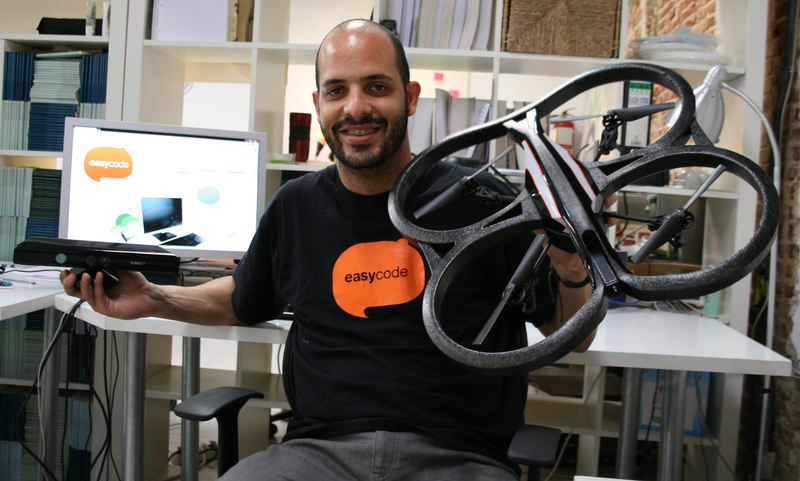 For a small company like Easy Code, they not only have an office space, they have access product testers — who doesn’t want to fly a quadrocopter around the office? — , logo designers, website programmers and video editors. Most co-working spaces aren’t just offices, but training centers. While most office parks are ghost towns on nights and weekends, co-working centers take full advantage of the space — in order to both make a profit and to reduce price to clients — by holding all sorts of events. On any given week, you can find networking nights, technical training workshops and business roundtables to bring outsiders in, and on weekends, there are fairs for the public to come in and buy the co-working jeweler’s/sculptor’s/ t-shirt designer’s stuff. If you are an easily-distracted freelancer, you can rent the space for five, ten, 20 hours a week, while, if you’re a night owl, you can get a plan that gives you a key and unlimited access 24/7. Companies seem to benefit from the shared space, with measurable bursts of creativity and boosts of confidence. When you mix folks of different professions from different industries, you guarantee a more diverse environment and a no-risk way to test products and to bounce ideas off consumers. And it’s not just for the artists and geeks out there. Almost every co-working space has at least one accountant or lawyer. These one- or two-person businesses have a more invigorating work environment and they also open themselves up to a whole new network of clients, especially around tax time. The world is all about creative networking. The evolution of co-working spaces is a perfect example of it. Even if co-working isn’t right for your business, Quote Roller recommends stopping by your local one because you never know who you can meet! Now, are any of our users or readers writing business proposals from a local co-working space? From where? What do you think?